New FDA Approved Treatment for Aging Hands! 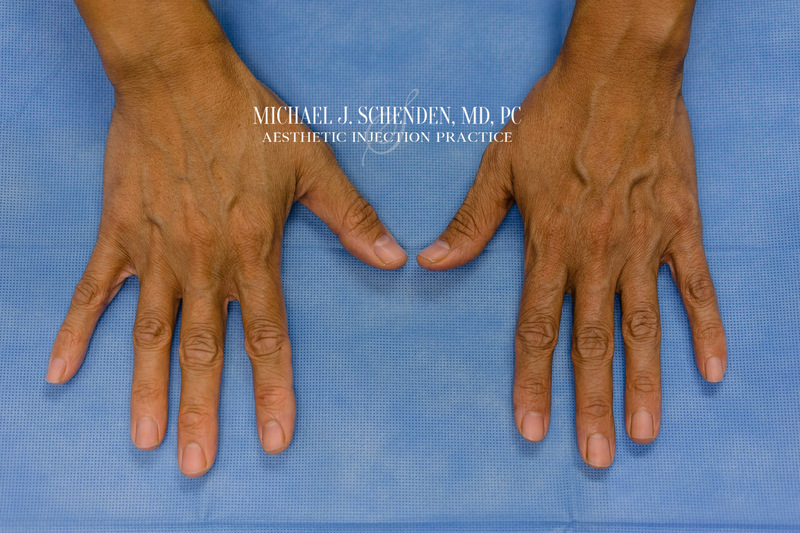 Do you have thin, wrinkled hands with prominent knuckles? Are your veins protruding or does your face look younger than your hands? Hands can be expose our true age or even make us appear older then we are. Our hands age like any other body part due to sun exposure, neglect and natural daily substantial volume depletion due to aging. These signs of aging can cause one to be subconscious and hide their hands. “Skeleton hands” happen once the fat layer is depleted. Today, many people are taking great care of the skin on their face, neck and chests and neglecting their hands which can leave you looking mismatched. The good news is there is now a FDA-approved reversible hyaluronic injectable filler that offers safe and efficacious results. Hyaluronic Acid (HA) can be found naturally in most every cell in the body, it is found in the greatest concentrations in the skin tissue. Almost 50% of the bodies HA is found here. It is found in both the deep underlying dermal areas as well as the visible epidermal top layers. 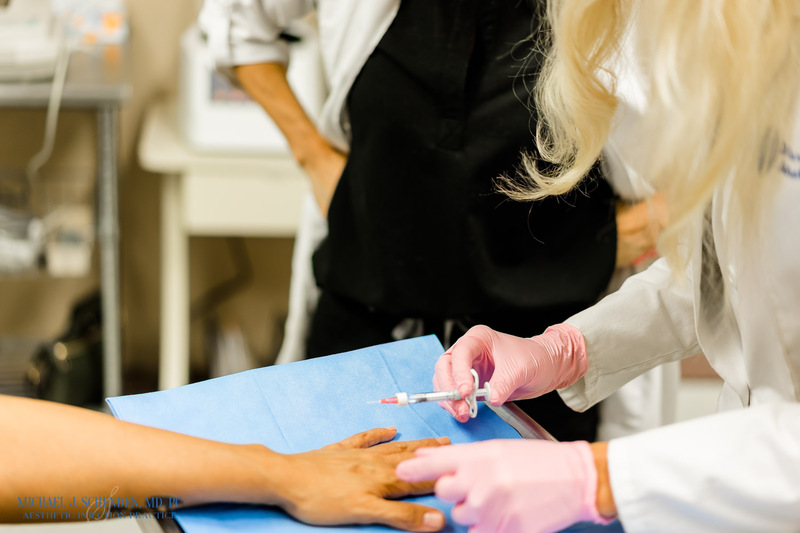 Restylane Lyft is the first and only FDA-approved HA Injection solution for patients who are looking for fuller more youthful looking hands. The procedure is a simple 30 minute office visit. 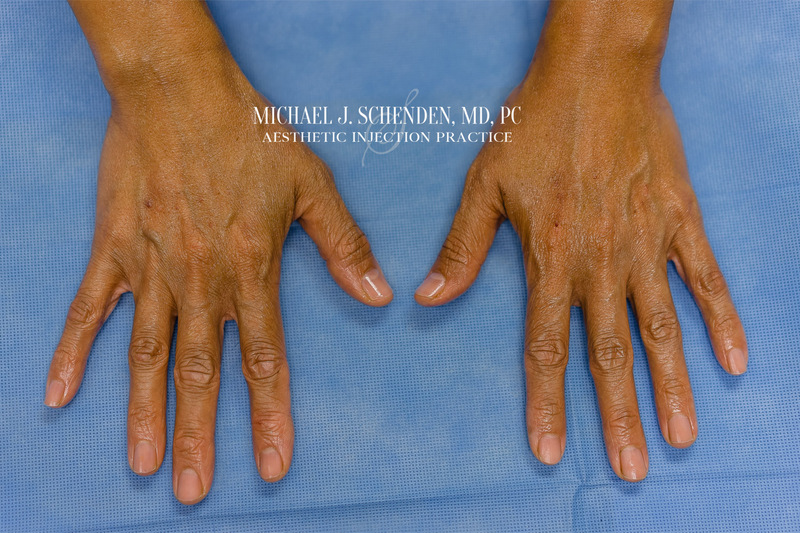 Restylane Lyft is injected into the back of the hands with approximately 4 injections into each hand. It will reduce the appearance of veins, tendons and bones by plumping the skin and reversing age related volume loss to the back of the hand. Downtime is minimal with possible bruising and swelling for 2-3 days. The result can last up to a year. Don’t let your hands expose you. 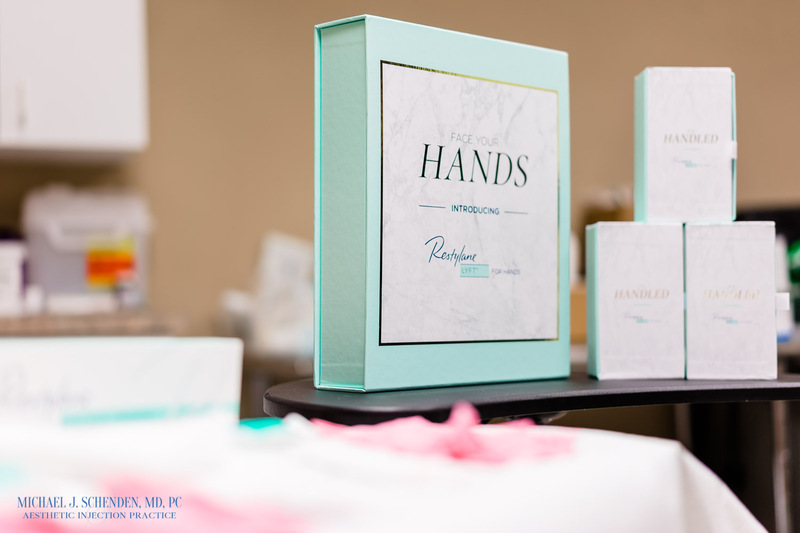 Get younger, plumper and more youthful looking hands with Resytlane Lyft. 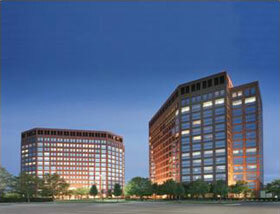 Call our office located in Troy, Michigan today to schedule your free consultation 248-524-0620. Wanted… Fuller buttocks and filled in dimples! As an Aesthetic RN, ISSA Certified and Competitive IFBB Bikini Pro, I receive messages asking what can be done for a flat buttock, dimpling or single cellulite dimples. First I recommend muscle building exercises targeted for this area such as squats. However, if squats in the gym aren’t giving the lift you need or genetics are against you, say no more. A non-surgical solution is Sculptra injections. Sculptra® Aesthetic works subtly and gradually over time for a more youthful-looking appearance. Sculptra® is a poly-L-lactic-acid-based injectable dermal filler. It is comprised of polylactic acid, which has been used in the medical field for over 20 years in surgical products, which includes dissolvable stitches. Polylactic acid is a synthetic substance made to duplicate a similar product that the body’s muscles make during exercise. 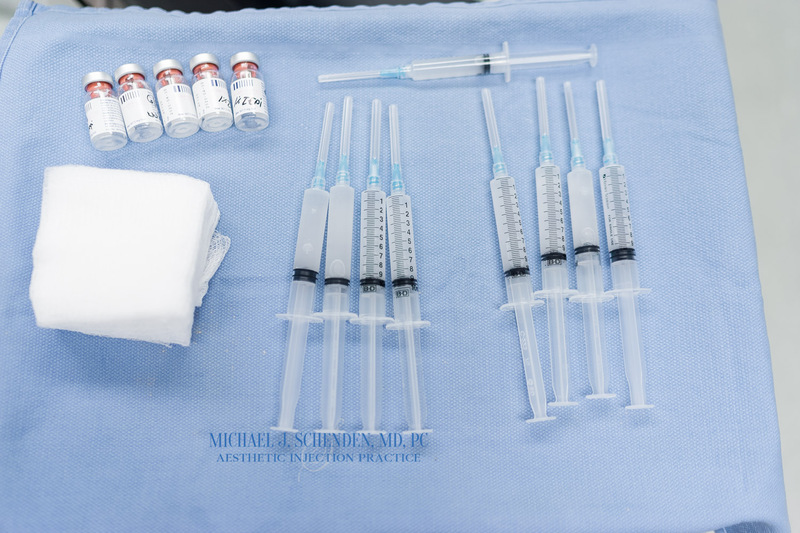 When injected it simulates an injury that will stimulate collagen production to the area to heal the injection site. Sculptra’s microspheres generate a mild inflammatory reaction which stimulates your collagen. Collagen will gradually increase, creating the volume-enhancing results & a lifted appearance which is visible from the treatment in about four to six weeks. Sculptra is FDA approved for use in shallow/deep wrinkles, nasolabial folds and contour deficiencies. Many aesthetic products are introduced to the public with FDA approval for use in a certain body area. Doctors however, will discover that the products can often work in other areas of the body as well and produce desired results. This is referred to as “Off Label” use. One of these off label uses is injecting Sculptra into the buttock area or into dimples to increase volume by stimulating collagen production. 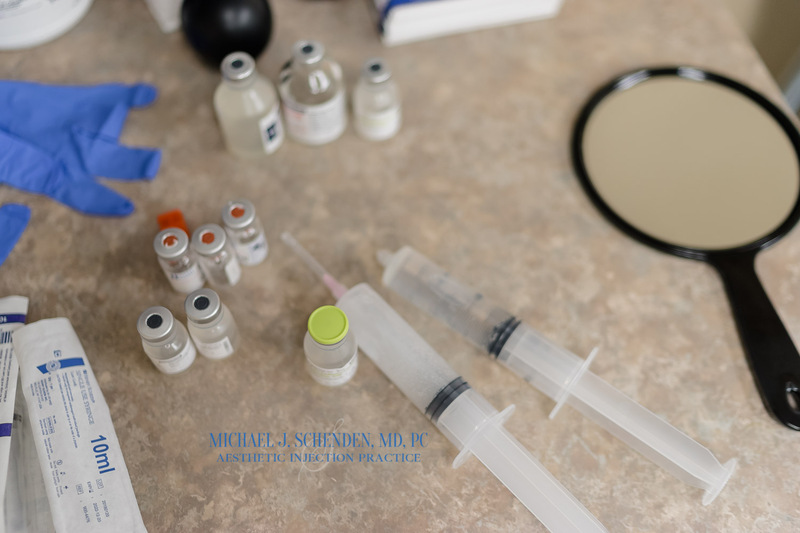 I typically like to start off by injecting about 4 vials each side, and can go up to 10 vials for complete treatment, with a return visit at 4-6 weeks. I have patients that are athletes who stay lean but would like more fullness or contouring. The best candidates are ones that have low body fat or no fat to harvest and don’t want the downtime of a surgical implant or fat grafting. It is important to note that depending on the fullness desired the total for the procedure can be the higher price range but is an alternative to surgery. Sculptra is often used off label as well to smooth cellulite indentations or dimples in the skin that won’t go away for a smoother appearance. What are the most common side effects after Sculptra®? Discomfort at injection site, burning, redness, swelling, nodules and bruising. The luxury of this treatment is no recovery period vs surgery interfering with your daily life. Sculptra is a product that generates your own collagen. It’s different than HA (hyaluronic acids) which only only last 9-18 months. Results may vary per patient with Sculptra fillers, with a range of lasting 2-5 yrs. Cosmetic (also known as aesthetic) surgery is experiencing high popularity and it is important for you to do your homework when considering any surgery. One of the most important questions a patient should ask is “What are the surgeon’s qualifications?” It is also important that your doctor is affiliated with a hospital. Many procedures today can be performed in our private outpatient facility, however, you have the option of having your surgery at William Beaumont Hospitals where both of our surgeons are privileged to operate. Our surgeons perform plastic, aesthetic and reconstructive surgery and have the expertise to help you with all of your plastic surgery needs. We offer industry leading Vectra 3D® imaging technology for most of our procedures. This software allows you to take the guesswork out of what your results will look like. See results the same day as your consultation. Our surgeons use the latest in surgical procedures and technology. Dr. Schenden focuses on aesthetic surgery. Whether you wish to slow down the aging process or close the psychological loop with reconstruction, our team can help you meet your goals. In some cases, patients can achieve remarkable results without surgery. Dr. Schenden offers the latest non-surgical procedures to make your skin appear younger and healthier. Our doctors will discuss all your options at your consultation. JUVÉDERM VOLUMA™ XC injectable gel is the first and only filler FDA-approved to instantly add volume to the cheek area. It gives you a subtle lift, helping to restore contour and a more youthful profile, for up to 2 years, in patients over the age of 21. It’s different than JUVÉDERM® XC and works on a different area of the face. JUVÉDERM® XC smoothes out moderate to severe wrinkles and folds around the nose and mouth, like parentheses. JUVÉDERM VOLUMA™ XC, however, adds volume to the cheek area. What else should you know about JUVÉDERM VOLUMA™ XC? Voluma is the first and only Hyaluronic Acid (HA) filler FDA-approved to instantly add volume to the cheek area, resulting in a subtle lift. It is clinically proven to last up to 2 years with optimal treatment, which is significantly longer than other filler products. Minimal bruising is common following treatment, but typically after 24 hours, you should be able to resume your normal activities. Side effects are moderate and generally last 2 to 4 weeks. Common side effects include temporary reactions at the treatment site such as tenderness, swelling, firmness, lumps/bumps, bruising, pain, redness, discoloration, and itching. Juvederm Voluma XC is made of Hyaluronic Acid (HA), which is a naturally occurring, hydrating substance found in your skin. As you age, you start to lose HA, which causes the skin to lose structure and volume. For more information on this new and exciting filler, contact our office for a private consultation at 248.524.0620. How can we use fat from one area of the body to enhance another area? Fat transfer (fat transplantation, fat injection or fat grafting) is a medical procedure that uses the patient’s own fat tissue from their thigh, lower stomach or inner knee to increase the volume of fat in the subcutaneous area of the body. Uses continue to develop but some of the most current applications include injection of fat into the breast for augmentation or after breast cancer surgery, cheek and chin augmentation, wrinkles next to the mouth (marionette lines) and the hollow areas under the eyes. In most applications, the fat is injected down through the skin and into subcutaneous tissue and sometimes muscle to provide a better chance for the fat cells to find a nearby blood supply and survive. Some of the fat does not survive, so typically a surplus amount of fat is injected. Fat transfer provides excellent results, and it is readily available! If you don’t want to use synthetic fillers, fat grafting would be an excellent option for you. To learn more about your options contact 248-524-0620 for a private consultation. “How soon after I stop breastfeeding can I get a breast augmentation?” – that is a question that I receive quite regularly. Typically I advise my patients to wait at least 3 to 6 months after they stop breastfeeding, this will allow for the breast tissue to settle down from lactating and the breast to reach the final post partum size. Some women can still express a small amount of milk up to 9 months after breast feeding, that is completely normal but shouldn’t affect your decision to proceed with a breast augmentation. The best option is to schedule a consultation if you are truly considering an augment or other breast surgery to evaluate your options. Laser resurfacing and rejuvenation with ActiveFX Fractional CO2 Laser. Laser rejuvenation and resurfacing is popular for many reasons. It offers a solution to wrinkles, fine lines, post-traumatic scars, acne scars, sun spots, freckles and/or aging and damaged skin. I myself have had laser treatments and have seen significant improvement after just one treatment. I was speaking with my staff earlier today about this very topic and will be scheduling my second treatment with the ActiveFX CO2 fractional laser. At any age, it is important to feel your best and put your best face forward. The ActiveFX fractional laser can improve a wide range of skin conditions while refreshing the overall appearance of the skin. The procedure offers patients the opportunity to be in and out with moderate downtime, as the procedure typically takes about a half hour and recovery takes 5 to 7 days. Every patient’s skin is different, which is why a consultation is so important. It provides the opportunity to assess the patient’s condition and do a thorough evaluation of the skin. Our practice offers DeepFX resurfacing for scar revision solutions also. For more information on the Active or DeepFX or other skin treatments please contact 248-524-0620 for a consultation. NEWS RELEASE: 3D Photographic Simulation Brings a New Dimension to Plastic Surgery at Dr Michael J. Schenden’s Office. New technology allows patients to preview how they will look with aesthetic procedures. Click HERE to see the 3D simulator in action!!! Troy, Michigan– If you are one the thousands of people each year considering aesthetic plastic surgery, Dr Michael Schenden has some good news for you. Recent advances in three dimensional (3D) photography combined with revolutionary new software allow prospective patients to preview what they will look like as the result of breast augmentation, facial procedures, and more, well in advance of any surgery. Both the VECTRA® 3D camera and Sculptor software which make this possible were developed by Canfield Imaging Systems of Fairfield, NJ, the world’s leading provider of medical photography systems. The process starts with a VECTRA 3D session which produces a three-dimensional photograph of the patient. Then, using Sculptor software, the surgeon is able to simulate the expected results of a variety of aesthetic procedures. “My patients are going to absolutely love this,” said Dr Michael Schenden. “For the first time, they’ll be able to see a 3D picture of themselves with their new look. Because it’s in 3D, I can rotate their picture to any viewpoint and they can really examine the desired result. We can make changes here and there and agree on a final look in advance, and this truly helps them make a decision”. Dr Schenden has more than 25 years of experience, offering professional, personalized medical care in aesthetics such as: breast augmentation, breast lift, facelifts, nose surgery, eyelid surgery, liposuction, tummy tucks and more. Dr. Schenden is a board certified plastic surgeon and is available for consultations by appointment at 248.524.0620. How to Regain your Pre-Baby Body! Pregnancy, childbirth, and breastfeeding are experiences that many women look forward to and enjoy. However, although you may be happy being a mother, there are some changes to the body that you may not be pleased with. The body changes quite drastically throughout the pregnancy and breastfeeding – the breasts and abdomen stretch, and the skin may lose elasticity which sometimes does not naturally return. Women who have used all measures to lose weight often turn to cosmetic plastic surgery to achieve their desired goals. Typically, patients choose to undergo a combination of procedures in order to recapture their pre-pregnancy shape. The most frequently combined procedures include breast lift surgery or augmentation, traditional and/or laser liposuction and a tummy tuck, especially if their abdomen did not retract or if they underwent a C-section during delivery. The combination of these procedures can be life changing as they help restore confidence and femininity by restoring the breasts to a more youthful shape and position, and tightening and flattening the abdomen. During a private consultation patients are able to discuss their needs and it will be determined if they are a candidate for the procedures; it is typically only advised to have the procedures if there is not plan to have more children. Call 248.524.0620 for more information on the “Mommy Makeover” or other cosmetic procedures. The gift of plastic surgery? The gift of plastic surgery? Is that Acceptable? You may have heard of cosmetic surgery being given as a gift in the past – perhaps a husband gave his wife a breast augmentation for Christmas or a Rhinoplasty for Mother’s Day ? At first glance, this may seem inappropriate, but why since many receive gift certificates to other establishments like spas, restaurants and stores? The reason is that it’s a little more complicated than it seems at first. Most plastic surgeons draw the line at a consultation as the only reasonable plastic surgery gift. However, if the doctor and patient agree that a procedure is reasonable, and the patient desires the procedure then certainly the patient can have a third party pay for it. At that point, there are only financial obligations, but not ethical issues. Note to the men out there. Don’t surprise your significant other with a nose job that she has never mentioned before or isn’t on board with – you might end up in the dog house. Send her to the spa instead.